This beautiful art showcase book from Adobe Press features 30 established and emerging Photoshop artists, their masterful work, and tutorials demonstrating their techniques for using Adobe Photoshop. Curated by renowned photographer and educator Ibarionex Perello, this book features an inspiring collection of innovative Photoshop artists and their amazing artwork. The images represent a mix of techniques and styles and are field-defining works that demonstrate technical excellence and awe-inspiring aesthetics. I am never looking to create the ‘perfect image.’ I enjoy producing pieces that appear destructed and manipulated. Readers will also appreciate the artists' commentary about their inspiration and philosophy about their art. 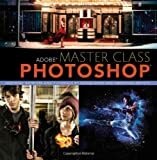 In addition to the art showcase, this book includes several tutorial projects that teach techniques for working in Photoshop. The how-to content, comprising 25 to 30 percent of the book, is based on general Photoshop features, so this book can be useful for users of recent and future versions of the Photoshop software.